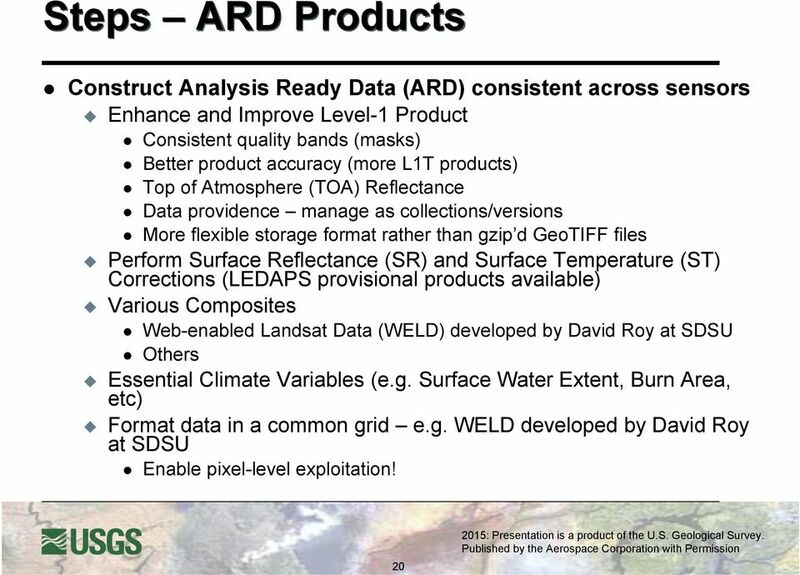 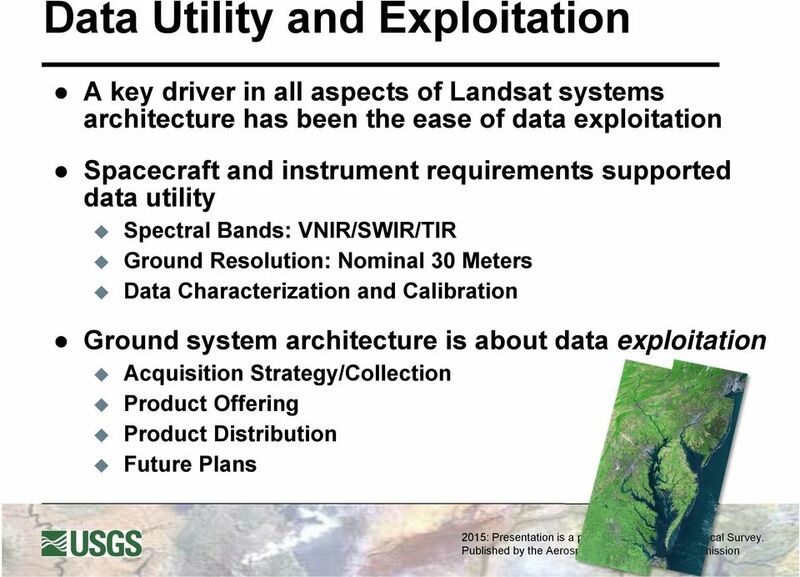 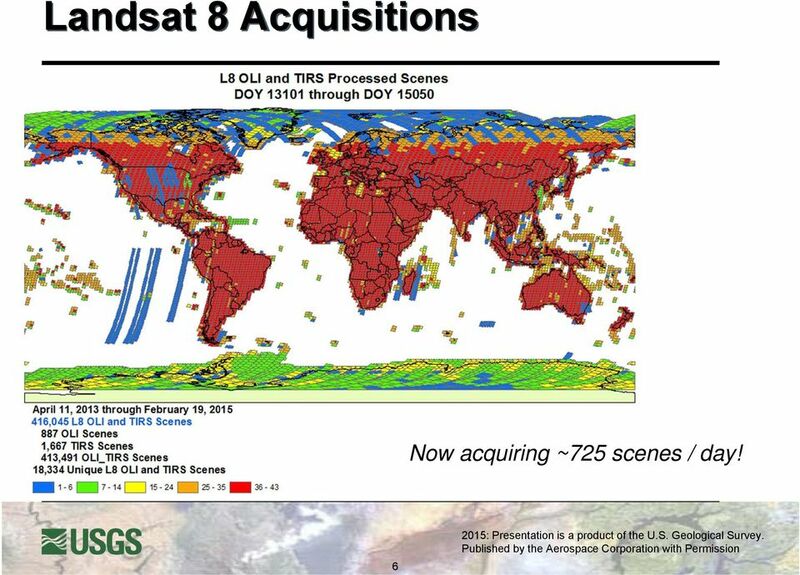 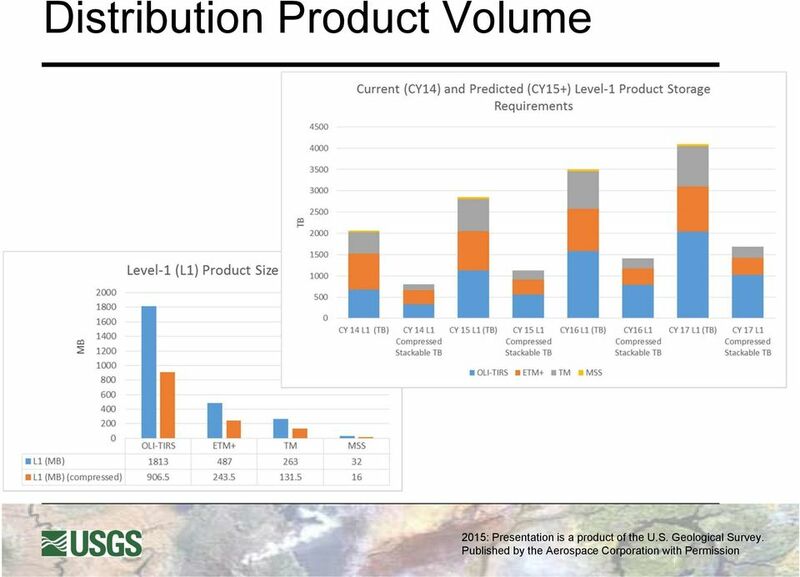 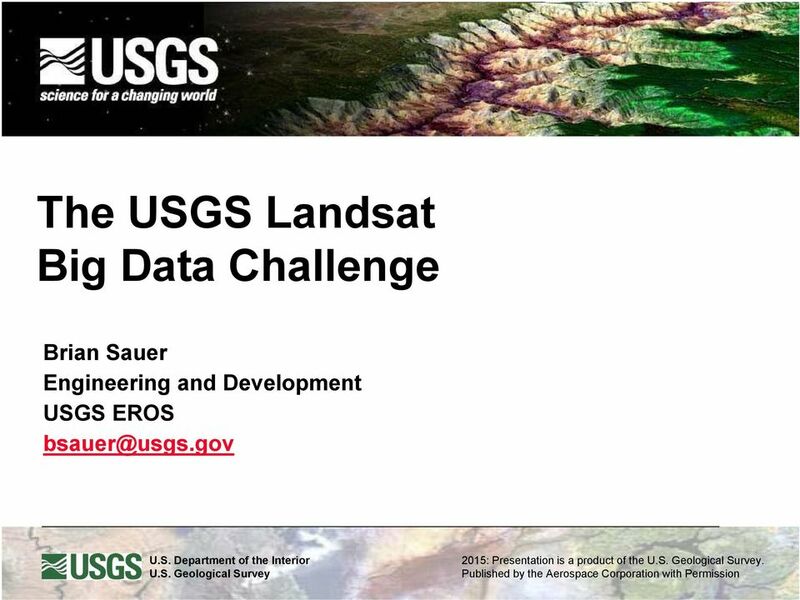 Download "The USGS Landsat Big Data Challenge"
7 Landsat - the longest and most comprehensive record of the Earth s condition ever assembled. 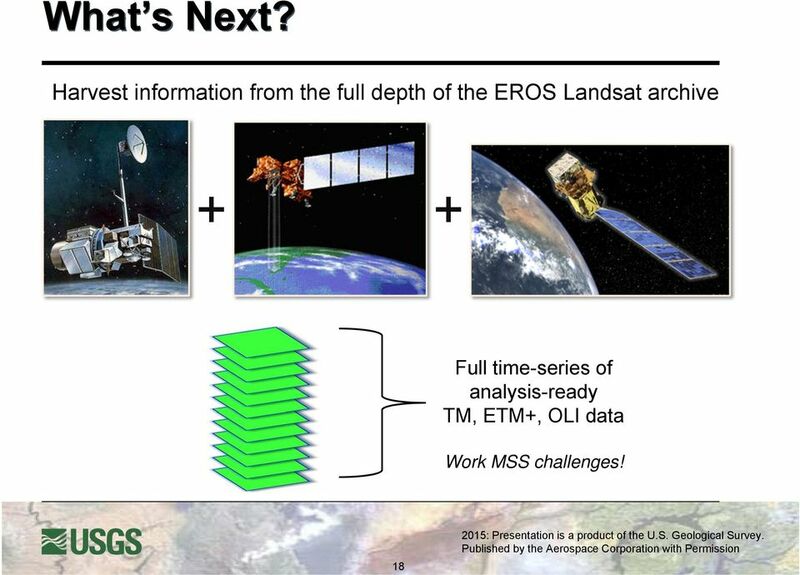 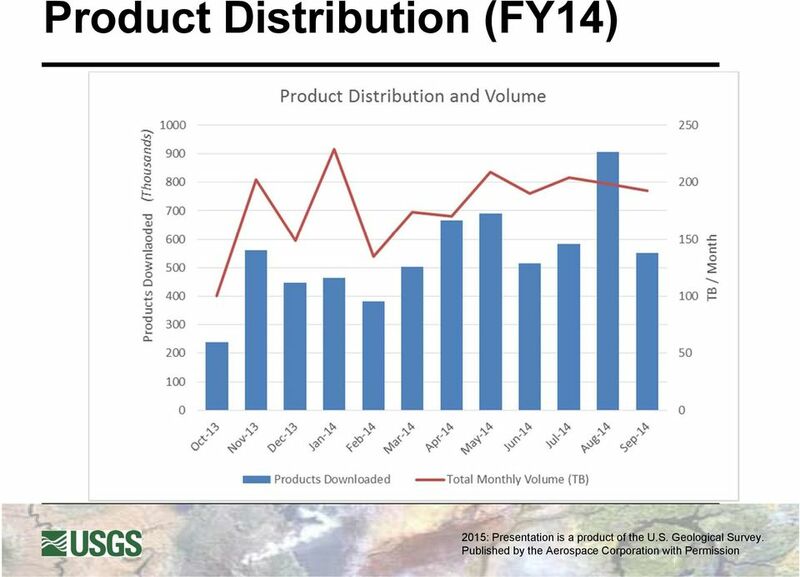 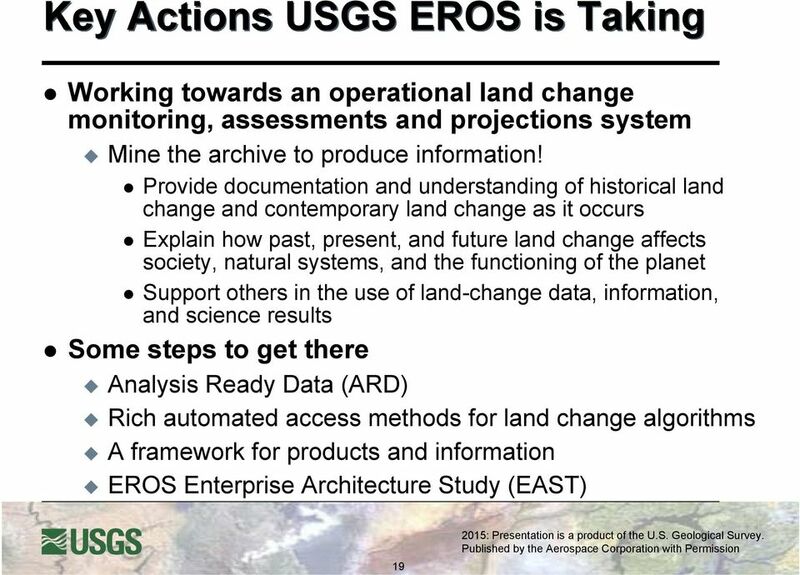 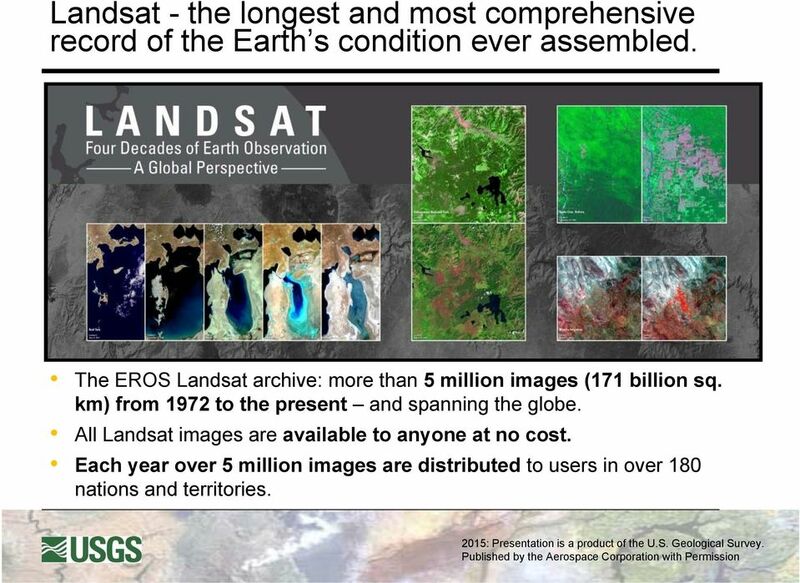 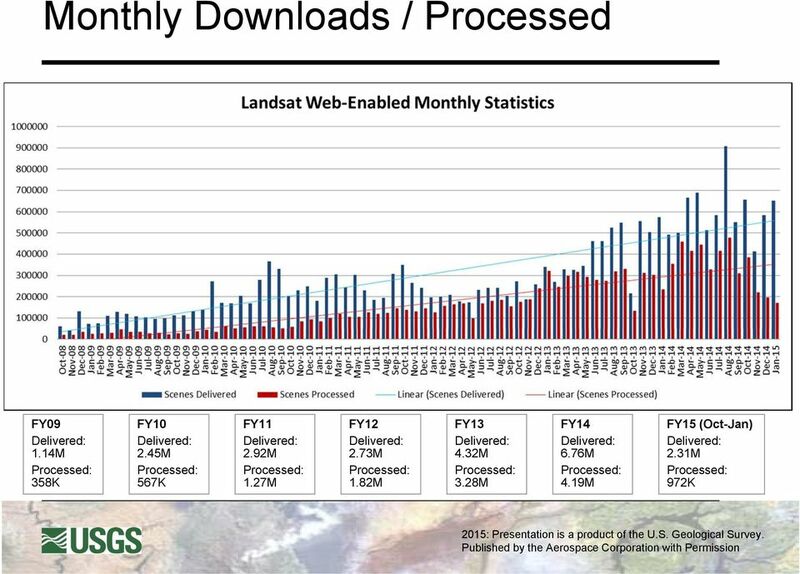 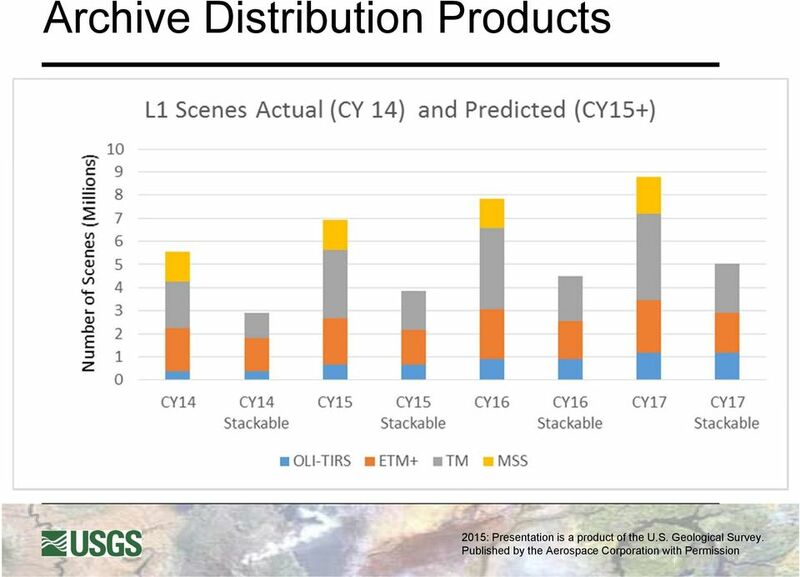 The EROS Landsat archive: more than 5 million images (171 billion sq. 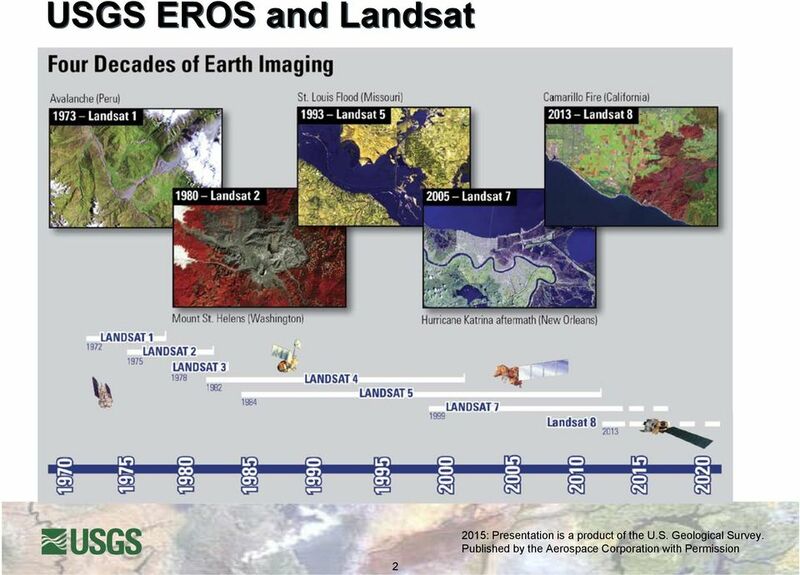 km) from 1972 to the present and spanning the globe. 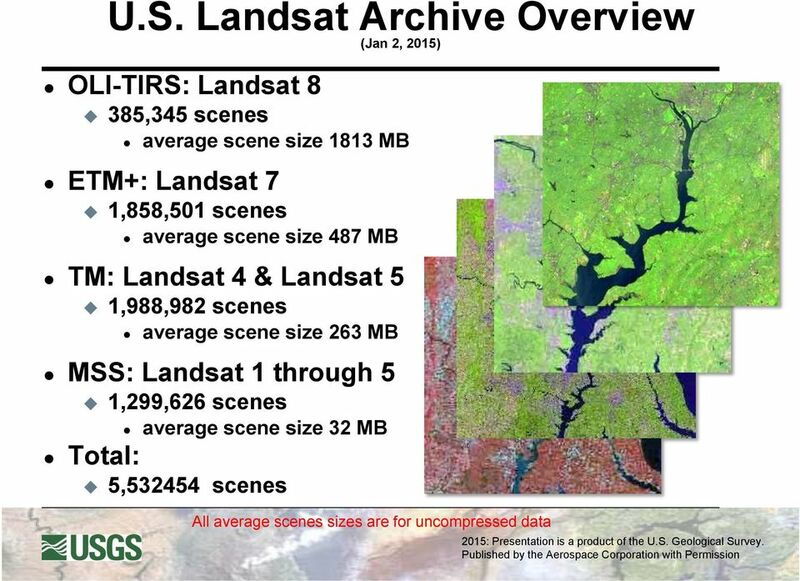 All Landsat images are available to anyone at no cost. 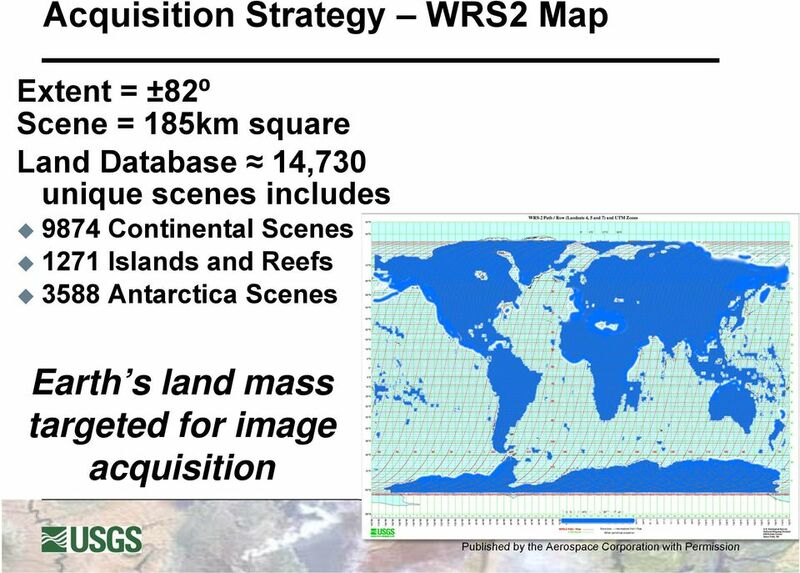 Each year over 5 million images are distributed to users in over 180 nations and territories. 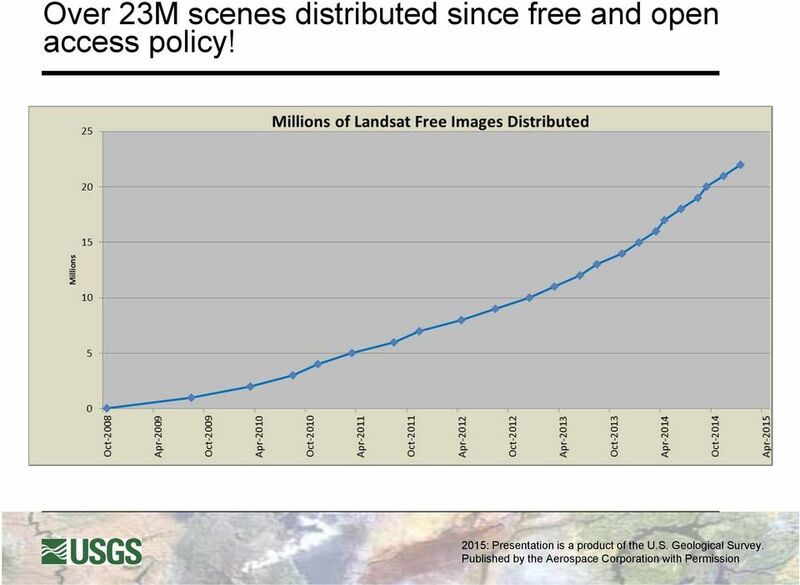 16 Over 23M scenes distributed since free and open access policy! 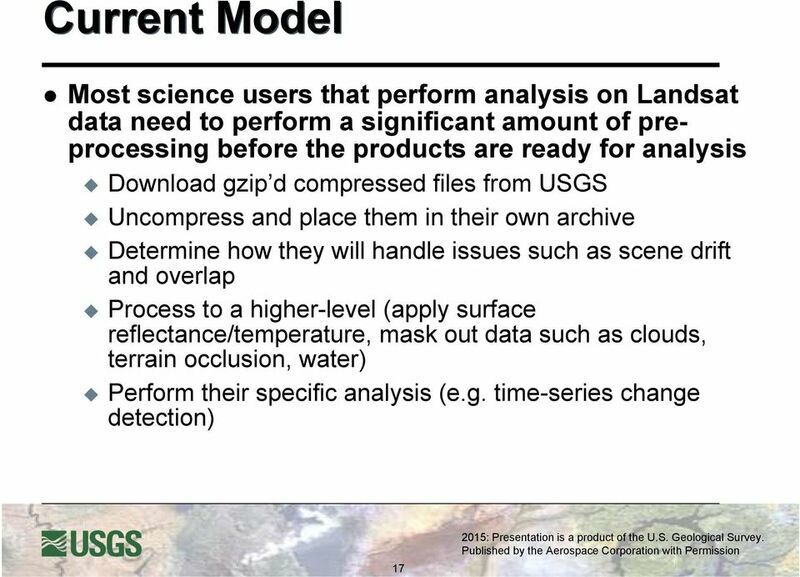 Levels of Archival Stewardship at the NOAA National Oceanographic Data Center: A Conceptual Model 1 Levels of Archival Stewardship at the NOAA National Oceanographic Data Center: A Conceptual Model Dr. 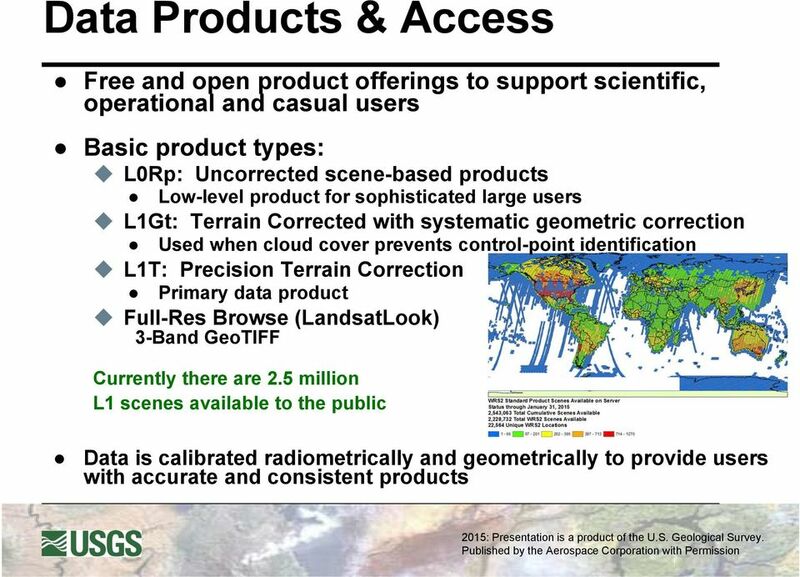 The premier software for extracting information from geospatial imagery. 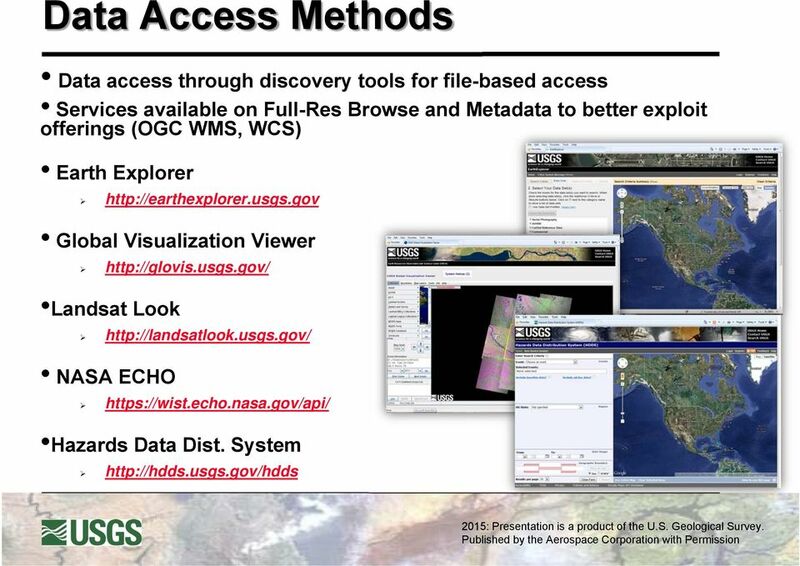 Matsu Workflow: Web Tiles and Analytics over MapReduce for Multispectral and Hyperspectral Images Open Cloud Consortium Open Data Group September 7, 2012 1 Materials for Matsu Matsu is a public project. 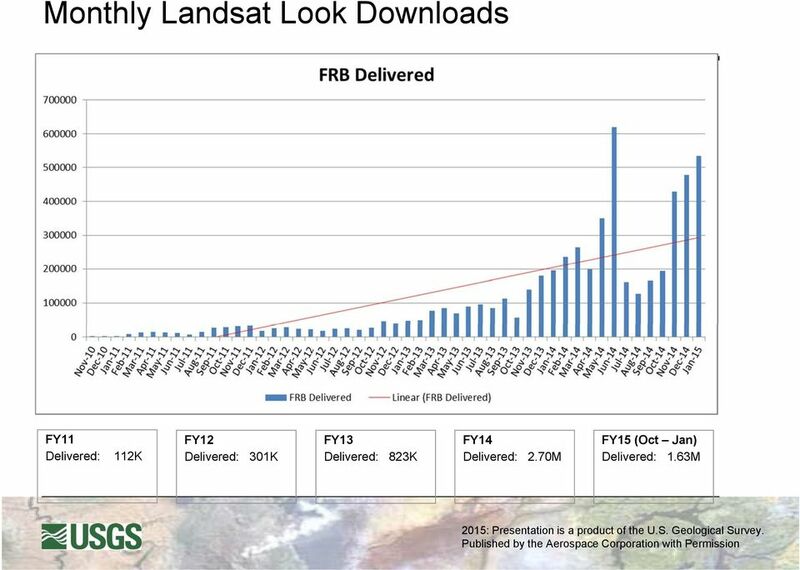 Using Landsat Imagery to Monitor Post-Fire Vegetation Recovery in the Sandhills of Nebraska: A Multitemporal Approach. 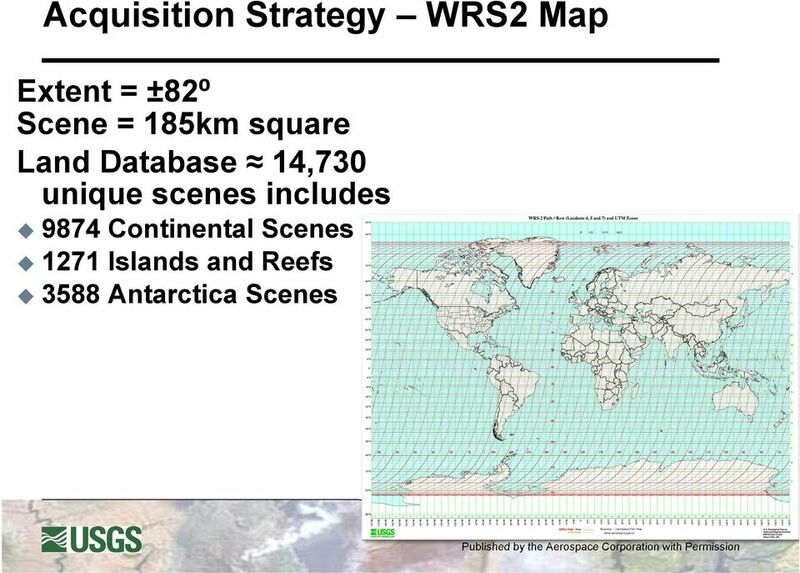 Earth Observations from Space and The Australian Geoscience Data Cube: Analysing Australia in space and time.